I’m an easy-going label reader, and choose products based more on their names or brands than what’s in the actual product. Sue me. I know that Ball Park frozen hamburgers probably don’t have much real beef in them, but darn it all, pop one in the microwave and in a little over a minute you’ve got a tasty meal. I don’t know what they put in these things. Preservatives for sure, and maybe even a little bit of wizardry. Because I’m sort of lazy overall, I really appreciate when a product is named in such a way that the name completely describes the product I’m buying. A perfect moniker is hard to come by, and sometimes the name is enough to throw me off, as in the instances of Kaboom or Murphy’s Oil Soap, or even Chick-O-Stick, which I have since found is delicious and not made with chicken. Or V8 Splash, which always concerns my kids in terms of sweetness, resulting from an unfortunate regular V8 incident. Or cheesecake, which is more pie than cake, and not cheesy at all. But who doesn't know about cheesecake? I'll tell you who. People who don't know what's good. Because my job is to always be on the lookout for things that will make life easier while shopping, I appreciate when a product name matches its product perfectly. It’s like the research and development team had a smash hit and I imagine them all standing around slapping each other on the back and shredding hundred dollar bills just for the fun of it. 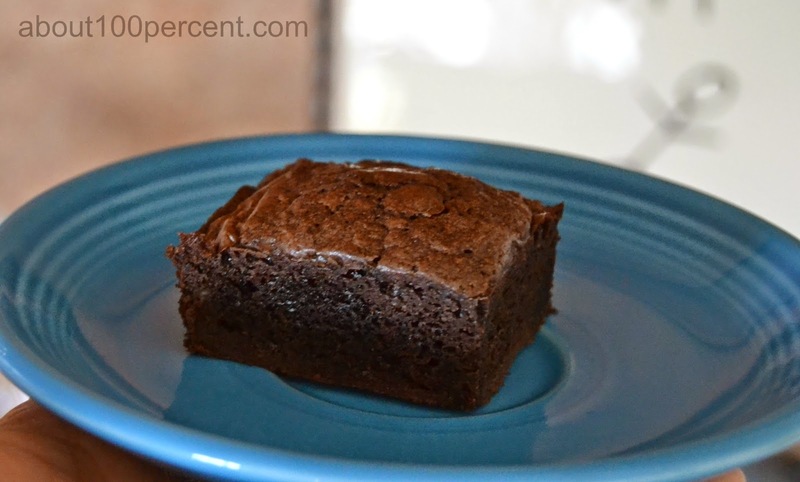 Perfect Brownie Pan – I’ve had this pan for two years. I just used it for the first time. You know what? The brownies are perfect. I can’t get over it. I just can’t. Neither can the kids. We eat brownies and remark on how perfect they really are. Get yourselves one of these mothers. Miracle Blur (from Revlon) – When I apply this to my face it becomes smooth. I don’t know how this works. It sort of fills in all the lines and pores and makes my facial skin smooth like a Barbie doll’s face, or even Meg Ryan’s. I’m okay with this. It blurs lines miraculously. Mix ‘N’ Chop (Pampered Chef) – This thing. 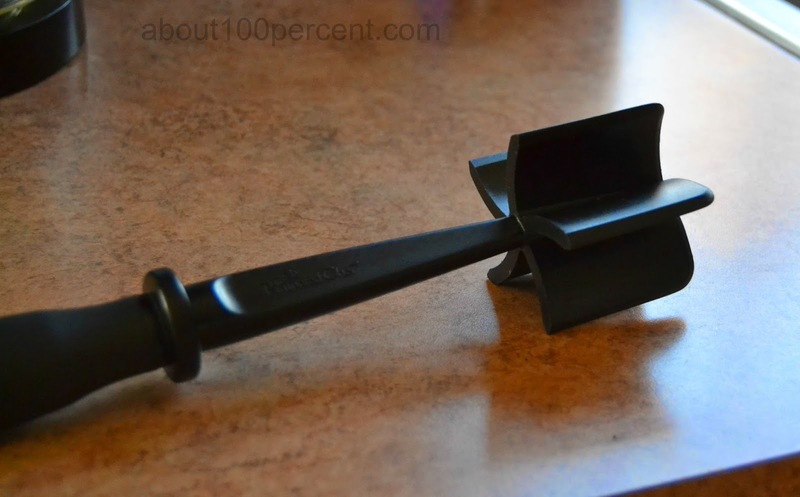 I will rummage through the bottomless pit of the kitchen utensil drawer for minutes – minutes! – to find it to use it while cooking ground meat. It really does mix and chop the meat while you are cooking it! No more “no kids, those aren’t meatballs, it’s just a clump of hamburger in the sauce” on spaghetti night. I Can’t Believe It’s Not Butter – I think the benefits of this product are well-documented, since it’s been around forever. I actually remember it coming out and my mom buying it once. Alas, we were a Fleischmann’s family and I was so unprepared for the butter-ness of the taste and I hated it. In my house we eat butter like we eat candy, and once in a while I will have some I Can’t Believe It’s Not and it is pretty remarkable how much it does actually taste like butter. 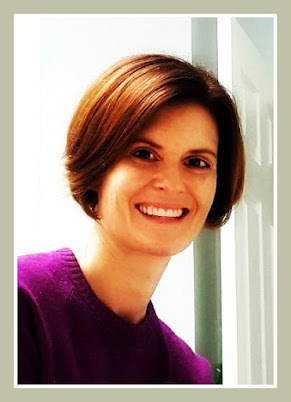 Easy Readers – So easy! They are everywhere, too. 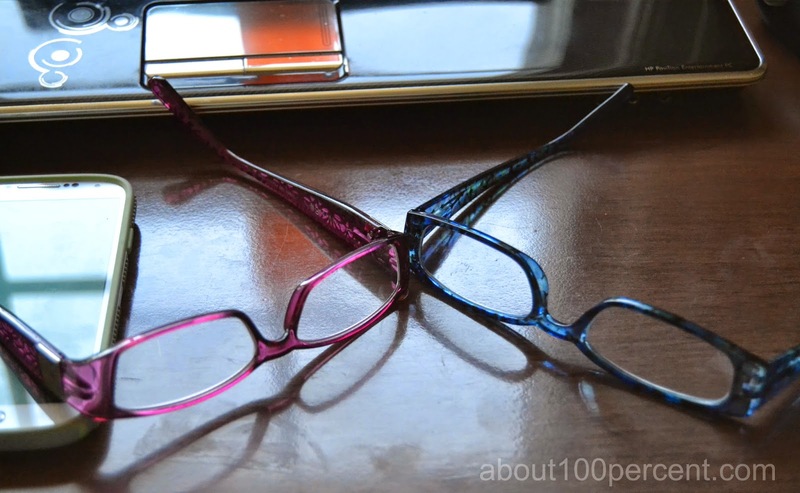 These are your basic, run-of-the-mill dollar store reading glasses. Why would anyone spend the time and money getting regular reading glasses when there are so many easy options available? I wouldn't, that's for sure. Plus, these are READING GLASSES. That old people wear. You don't want them to look too cute, or else you're building your wardrobe around them. It's a slippery slope, friends. Smooth Move Herbal Tea – Just like its name suggests, it makes everything move smoothly. Like bowel elimination. Because Smooth Move is a laxative. Drink it before bed, not before you go out to the bar, silly! You’re welcome. What else you got? Leave me some perfectly-named products in the comments! Disclaimer: I have not been paid to hawk these products. I just really admire them. I am adding all of the above to my Christmas list. My eyes can't be helped without a bi-focal. I am like 100 years old. I need to get some readers to wear with my contacts, because, like Kari, I am old. Also, I do not like cheesecake. I am sorry. I do want brownies now though. Ooh, I love I Can't Believe It's Butter! A shame I can't get it here in Malaysia. And the mix and chop is SO awesome. I think you need to get a commission from Pampered Chef! Reading your blog makes me happy every single time.